Injured plaintiffs in Chatham, NJ are often hesitant to litigate medical malpractice claims, even when the claims are legitimate and actionable under New Jersey law. There is a tendency in the mainstream to view healthcare professionals as unassailable — in other words, to see the profession as inherently noble and therefore immune to criticism. If you have been injured due to the negligence of a healthcare professional in Chatham, New Jersey, you may feel emotionally overwhelmed at the prospect of litigation. The best decision you can make right now is to contact an experienced Chatham medical malpractice attorney and explore your legal options. Although many (perhaps most) healthcare professionals care deeply about their work and are undeniably well-intentioned, the reality is that they might not be giving you — the patient — their best selves. Exhausted healthcare professionals may cut corners, be distracted, or otherwise act in a way that exposes you to heightened danger. This negligence must not only be discouraged but also punished — you have a right to recover damages for injuries and other losses that were foisted on you unexpectedly by a negligent medical provider in Chatham, NJ. Medical malpractice turns on a finding of medical negligence — a court will determine that the Chatham healthcare professional at issue has committed medical negligence if they have violated the standard of care applicable to them in the circumstances. The standard of care may vary, depending on a number of different factors: the nature of the illness/condition, the geographic location, the age, experience, and training of the healthcare professional, and various other circumstantial factors. For example, if your Chatham physician fails to diagnose your obvious cancer after examining your radiology scans, then you could have a medical malpractice claim. On the other hand, if your physician failed to diagnose a rare degenerative condition when it appeared to be asymptomatic in its early stages, the mistake might not rise to the level of negligence. Here at Blume Forte Fried Zerres & Molinari, our Chatham medical malpractice attorneys have proved themselves on the legal battlefield. We are more than capable of handling a variety of medical malpractice claims, whether they arise out of a failed diagnosis, a surgical error, or anything in between. 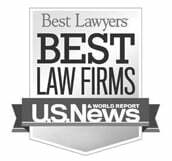 Blume Forte has served the interests of injured plaintiffs in Chatham medical malpractice lawsuits and other personal injury lawsuits for nearly a century. Since 1929, we have been at the forefront of plaintiff’s-side litigation in New Jersey, securing multimillion dollar verdicts and settlements on behalf of our clients. In the medical malpractice context, for example, we have recently secured compensation of $14.6 million, $14 million, and $12.7 million in damages. 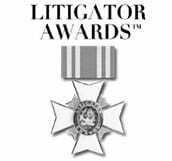 Legal publications have recognized our excellence in this regard. If you have suffered injuries due to the medical malpractice of a healthcare professional in Chatham, NJ, you should get in touch with a qualified attorney at Blume Forte for further guidance. We will evaluate your claims and determine the next steps necessary for recovery. Call us or submit a no-obligation case evaluation form to schedule a free consultation with a Chatham medical malpractice lawyer today. Chatham is a borough located in the northeast of New Jersey in Morris County, close to Jersey City and New York. (Chatham is about 24 miles west of NYC.) Chatham has roughly 9,000 residents in total and is an important and wealthy suburb that has attracted professionals and their families away from the heart of New York City, thanks in part to significant transportation links between the two locations. Modern Chatham was settled in 1710, and residents were involved in various historical events following its founding, including the Revolutionary War. The town did not develop substantially until 1897, however, when it was reincorporated as a borough and given independence from the surrounding township. There are a number of healthcare centers in and around Chatham, NJ, including Saint Barnabas Ambulatory Care Center, Summit Oaks Hospital, Overlook Hospital, Atlantic Health System, and more. As Chatham is well connected to other metros, such as Jersey City and New York City, residents also have the opportunity to use medical facilities in those areas. Here at Blume Forte, we have four offices located throughout the state, but our primary office is in Chatham. If you have sustained injuries due to the negligence of a healthcare professional, call now to get connected directly to our Chatham office. We look forward to helping you with your claims.